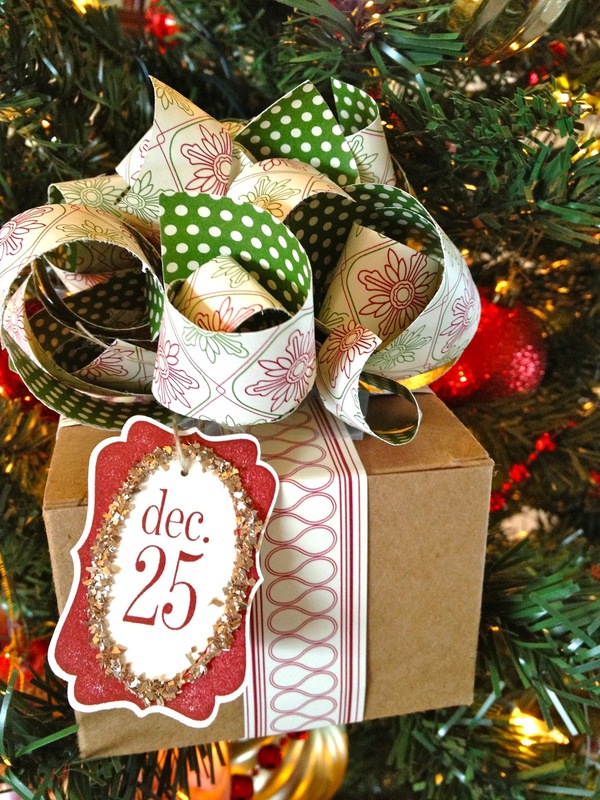 Welcome back to my creative wrapping week! 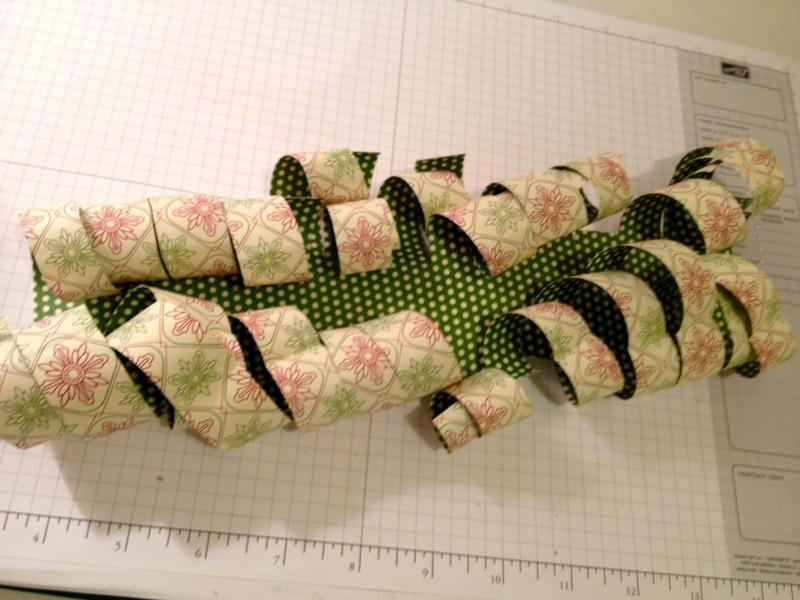 If you’ve missed some of the posts this week, make sure to catch up so you can get your Christmas Gifts wrapped in style 🙂 And I’d love to have you join me for the TP Tube Challenge I posted yesterday! 1. Start with a piece of wrapping paper or DSP. 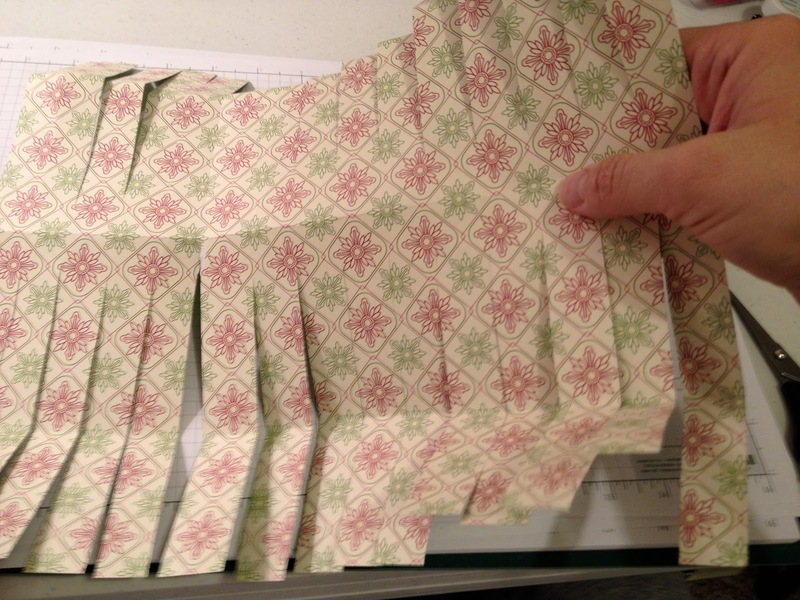 This is a 12×12 piece of DSP and you begin by folding it in half. 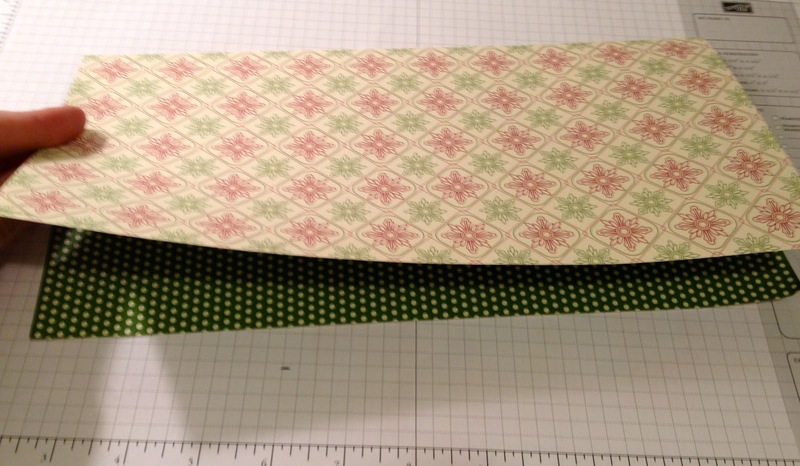 If using a rectangle, fold it in half the long way, or “hot dog” fold. 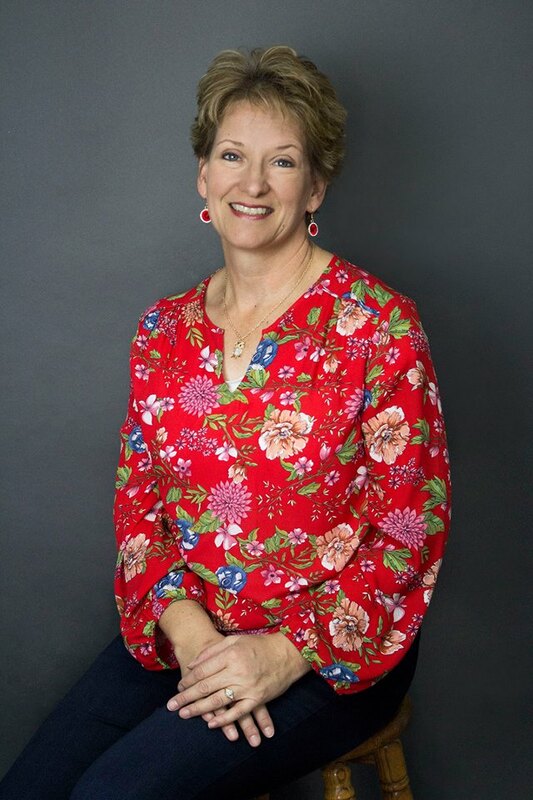 My favorite size is about 18″ x 12″ for a large package, but don’t worry about the measurements…just grab a piece of paper from your printer and follow along!! 2. 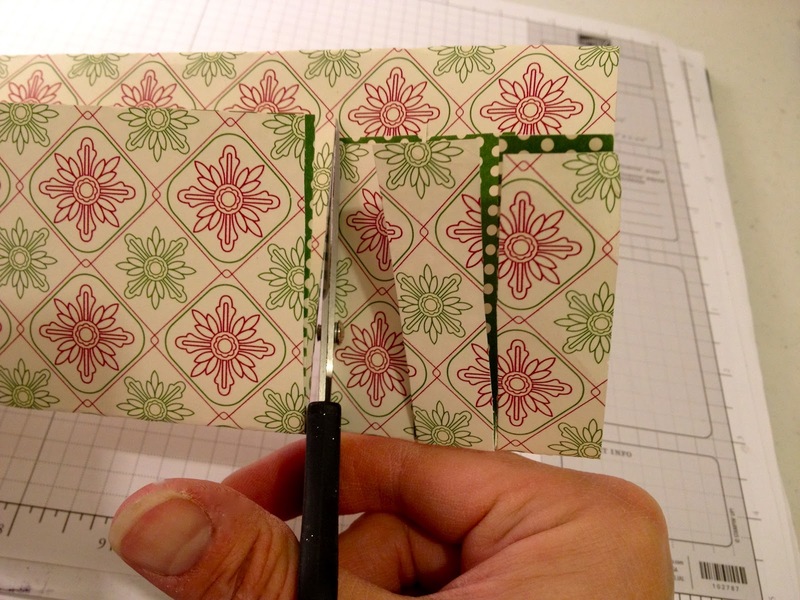 Take the open edge and fold it up toward the folded edge, leaving about 1″ along the folded edge. 5. Now the fun begins! 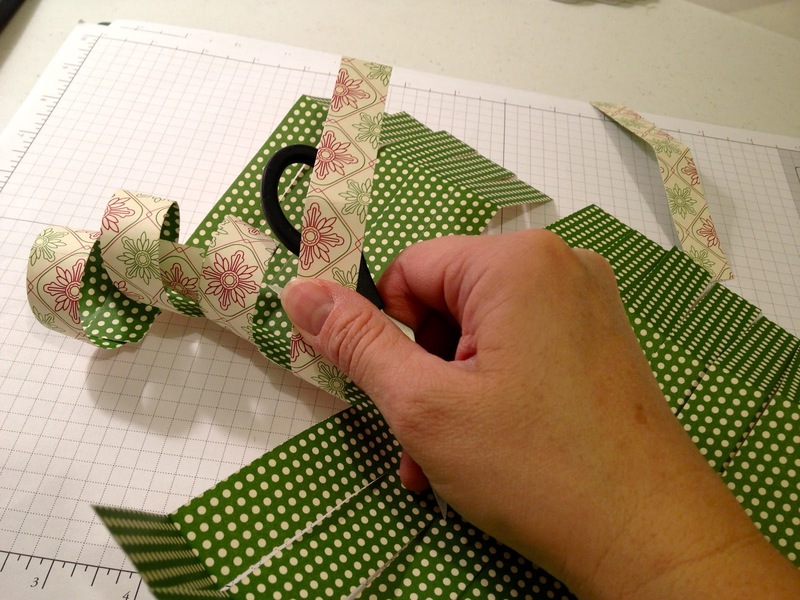 Use your scissors and “curl” the paper as you would a ribbon, with the pattern you want to show the most of on the opposite side of your scissors. As you are curling, you may pull off one of the “legs” (see the one in the background of the picture?) No worries: You will never notice it when it is finished! 7. 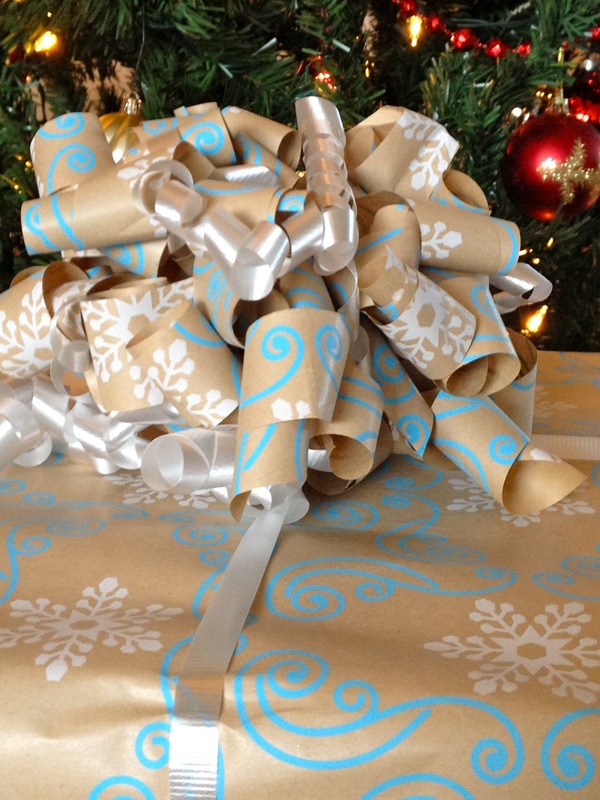 If you are using gift wrap, just SCRUNCH it together up the middle fold to gather it. Using DSP (which is a little heavier) you may find it easier to fan fold it as you go along. The cuts you made make it pretty simple to do quickly. Again, this isn’t rocket science, so you don’t have to be exact, just fold it and go! Then grab an old bread twist tie (doesn’t matter what color…mine is BLUE!) 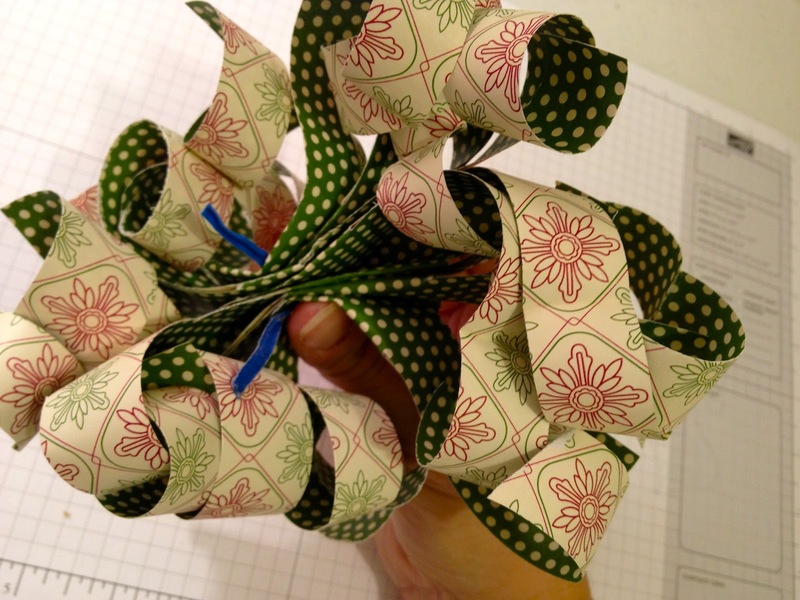 and wrap it around the gathers/folds and twist to secure. What a fun tutorial. I'm totally going to try it. Thanks for sharing. Love this!! Thank you for the tutorial!! I'm totally gonna try this for our packages this year.